What is Industrial Automation Equipment? Industrial Automation Equipment is a category of production equipment that is used to automatically perform some production operations. 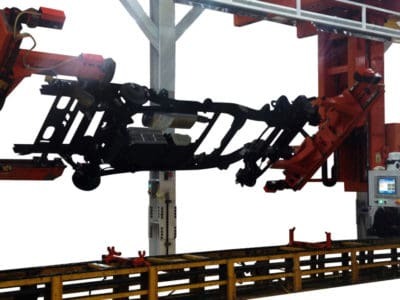 The types of equipment include industrial robots, automation cells, conveyors and special devices like lifters and turn-over machines. 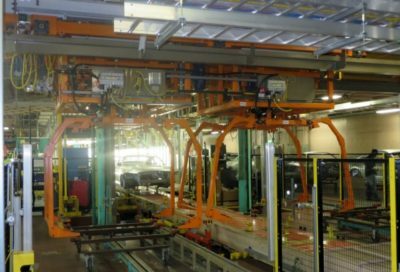 Industrial automation equipment is used heavily in the automotive, paint finishing, aerospace and handling industries. 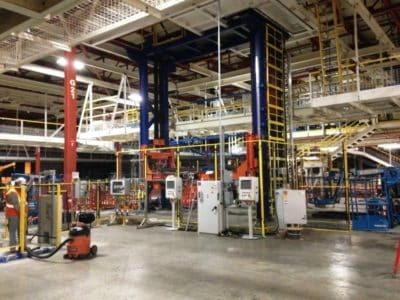 How much does Industrial Automation Cost? 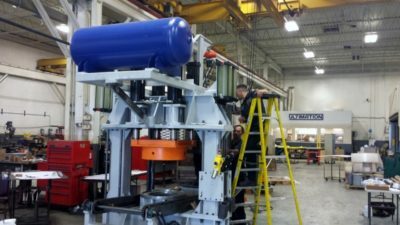 We provide simple devices like gravity roller conveyors that are available for under $100 through to complete lines for special applications like automated truck tire and wheel assembly and inflation that can be part of systems of $1m or more. Because automation can be capital intensive, Ultimation advocates the use of scalable systems wherever possible. 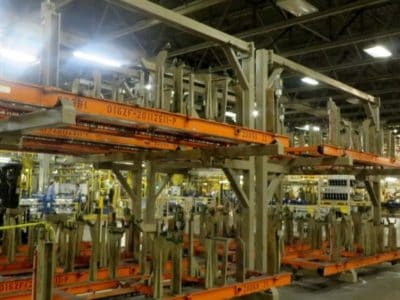 For example, an overhead conveyor could begin operation as a hand push trolley system, then become a motorized system and eventually a power and free conveyor could perform the same role with additional benefits. 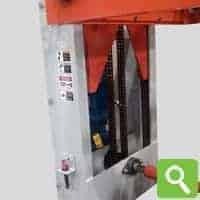 The equipment shown on this page represents some of the special purpose machinery and industrial automation equipment systems built by Ultimation for various industries. 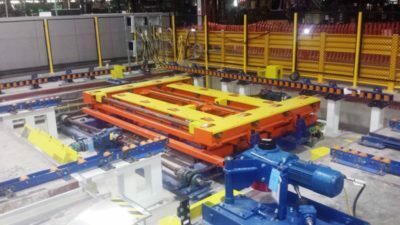 What are the Types of Factory Automation Systems?